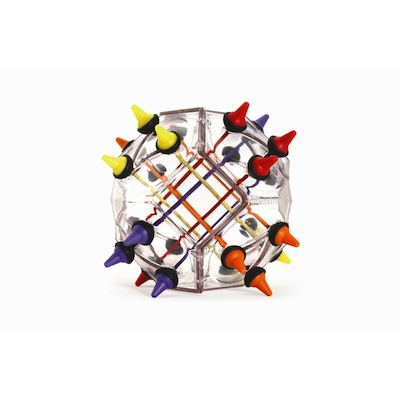 Building on the success of the top selling puzzle, this advanced version adds more sides, colored strings and easy to grasp rubber tips. More challenging than the original, Brainstring advanced will stretch your puzzle solving skills to the next level. Move the rubber tips to untangle the knot and get a solid color on all sides. Sharpens critical thinking skills.